1) Our CAS system will store the catalogues. Each catalogue is the collection of different tables. 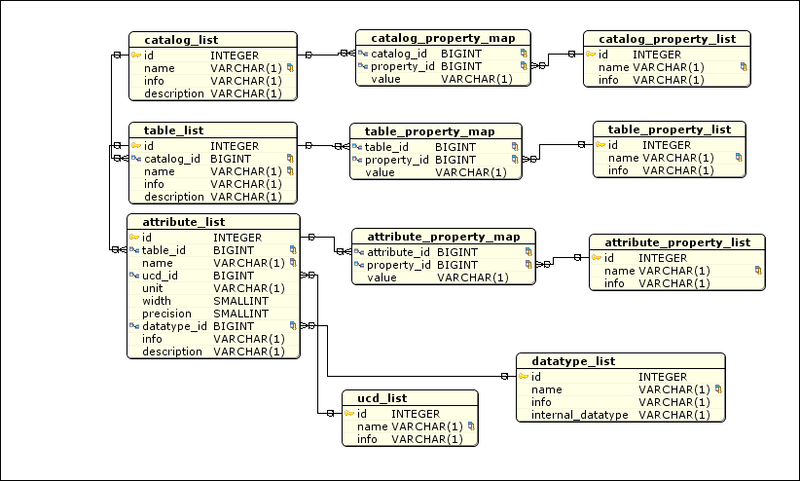 Each catalogue should contain one or more tables. 2) The names of the catalogues should be unique, as well as the the names of tables of the SAME catalogue. 3) The tables of each catalogue should reside in separate schemas (to have different namespaces). The name of the schema should be equal to the catalogue name. 4) All the metadata about the CAS system, its tables, catalogues should reside in separate schema (currently "cas_metadata").